Married to a Spanish. Living in the Spanish land. Eating Spanish food. Breathing Spanish air. 100% Pinay. Blood, heart, mind and soul. Now has her little Spanish Pinay, 50% Spanish, 50% Pinay. I am a Filipina who lost her head and followed her heart in the land of tapas and toros. While it's the craziest decision I've made in my life, it is one of the best and I'm more than glad I did. 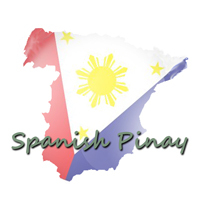 Although I am living a Spanish life, my heart, mind and soul remains faithful to my native land, The Philippines - hence the pen name Spanish Pinay. 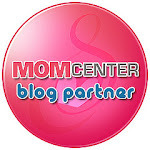 I am now a mother of Little Spanish Pinay who just turned one and this blog aims to chronicle my thoughts and experiences about motherhood, being a wife to a loving husband, attachment parenting, breastfeeding and life in general. You got an issue? Here's a tissue! Can't bake? Make a cake using microwave - soooooooo easy, trust me! Check out this great deal from Amazon! Longganisa is one of my classic comfort food. Although we have chorizo here in Spain, it's really nothing like longganisa from my beloved Philippines. I have been wanting to be able to make one but haven't really found an easy recipe so thank goodness to my pretty preggy friend Dianne as she was able to find one. The plus side is that she has already tried this and approved of the result. Being a great foodie that she is, I have no doubts the recipe is really going to give good results. It took me a while before I was able to finally make this on my own as life happens and this mama gets burried with so much work and mama duties. I did some modifications on the recipe to suit my liking... for one, I love my longganisa just a tad bit on the sweeter side so, I used a bit more sugar. You can refer to Dianne's recipe for the original recipe. My recipe below is probably just good for 2-3 people so double it if you want a big batch. Dianne's recipe calls for 1.5lbs ground pork and that's about 680 grams. Let's get down to the business. Mix all ingredients in a bowl except for the wine and the butter. Mix it good until all ingredients are well incorporated. You can use a spoon or your clean hand. Hand is better. I like sneaking in veggies in my dishes so I thought I'd sneak in some grated carrots in this. It wasn't a bad idea at all! Roll a part of the mixture to a cling wrap. The amount depends on how big or long you would want the longganisa to be. I did about an inch thick. Now, here's a trick I did. I closed the sides of the cling wrap (after the longganisa is rolled inside) and made a knot on each side. This made the longgaisa more compact and sort of tube-like round. does this remind you of the classic ice candy? excuse the blurry photo. I was just using my phone camera on my left hand. I also have a slightly different way of cooking longganisa. I've used my mom's classic way of cooking longganisa and also added some Spanish touch to it. In a skillet, I put the longganisa (cling wrap removed) with a little bit of water. Let the water boil. This way, I am more confident that the longganisa would be well cooked until the core part. I love meat and I love it well done. I may have also sprinkled the longganisa a dash of brown sugar while it's cooking (yes more)... but that really depends on your liking. When the water is about to get dry, pour in your red wine. This gives tanginess to the longganisa and that nice dark color. I am thinking that with the wine, you can totally ommit the anato powder. Oh, just imagine how the mixture of different tastes would explode in your mouth with every bite! Let it simmer until it caramelizes a bit. Then put a little butter or if you prefer to be healthier, use vegetable or olive oil. I used butter! Then just let it fry until golden brown and the caramel becomes sticky. You wanna be more sinful? Cleanup that caramel in the frying pan with rice! Yes, I committed more sin by frying the rice on the longganisa caramelized drippings! And I must say, it is all worth it! Every.single.calorie. i'm not fond of longganisa pero parang ang sarap mag-longsilog ngayon kaso wala ko longganisa. hehe! wow..nakakagutom! even the rice you cooked in the longanisa oil. yummy! Looks yummy! Kami din ganyan yung nag caramelize sa kawali sarap sa kanin. Maski sa tocino ginagawa din namin. Bigla akong nag crave sa longganisa! gosh! You're really good in the cooking! I wanna have longganisa tomorrow. Haha! haha! that sinful part is very popular for us, I love doing it, most likely after cooking tocino. oh yum!! you are a very good cook! masarap iyan lalo na sa umaga.. I love lucban longganisa but haven't tried cooking with a kick of wine...I should try it! Uy! this is Saturday morning breakfast in the making! this is definitely my menu for Saturday. thank you for sharing! Sarap! Natakam ako.. ang sosy with wine! Big Savings on Kids' Clothes!! Hunting for cute monogrammed jewelery? Check out these rings! I started an adoption blog! my tales of whatever, wherever. Sugah Momma | Sugar-Coating Mommyhood. NOT!